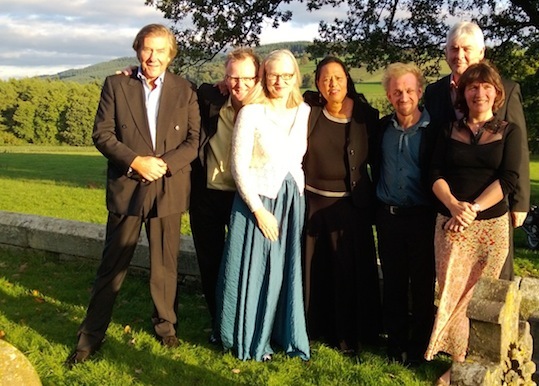 Arcadians 2013: (left to right) Jonathan Williams, Thomas Bowes, Louise Williams, Eleanor Alberga, Tom Hankey, Robert Smissen, Caroline Dale. Here seen standing in the churchyard of St Giles, Downton just after playing the final notes of the concert there. Our theme in 2013 was "Postcards from Italy" with music by Verdi, Wolf, Tchaikovsky, Respighi and our very own Eleanor Alberga. We presented two main concerts in Leintewardine and Downton with the whole thing kicked off in fine style at the incomparable Sun Inn.